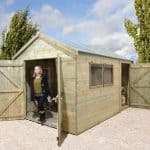 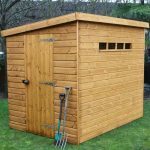 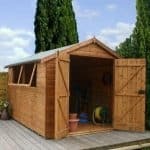 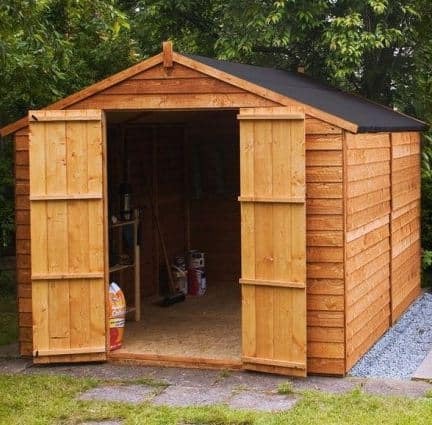 This 10 x 8 apex wooden shed benefits primarily from size. 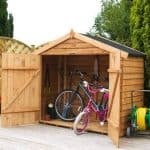 It is a large and spacious building, and perfect for anyone who wants to store their garden tools and equipment safely. 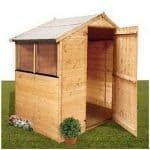 The large double doors allow for easy access to the building. 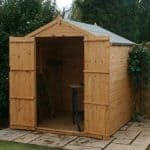 On the roof is sand felt, which allows for a very tough and resistant covering against rain and rain damage.